Looking for functional reading resources to use with your students in a life skills program? This is a great way to work on reading with students who benefit from having visual supports when reading. 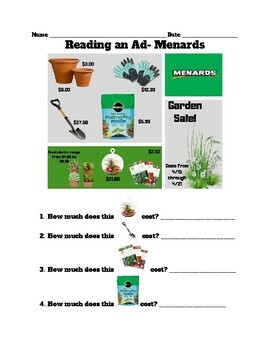 This worksheet focuses on a Menards ad that is having a Garden Sale. Great to use before a CBI trip if your class is going to Menards.